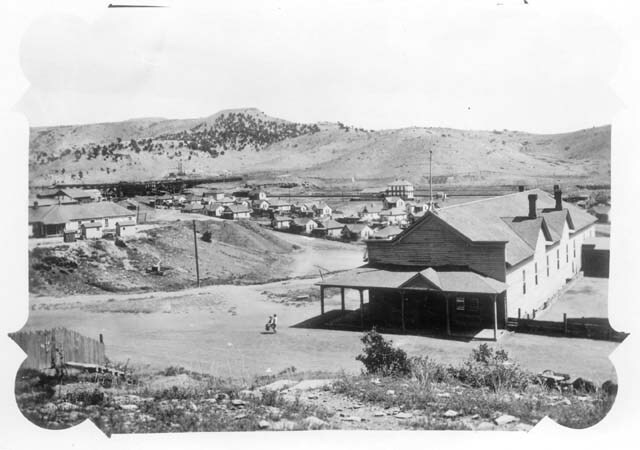 Colorado, Fuel, & Iron Company (CF&I) began construction of Primero, Colorado in 1901. Primero was positioned about 15 miles west of Trinidad, Colorado at the site of the most promising coal deposits in the region. While CF&I built other towns and opened other mines, Primero quickly proved to be the wealth producer for which the company officials hoped. During the first twenty years, Primero set new production records as coal miners and their families struggled to survive in the hostile environs of coal country. In the 1920s coal production fell off markedly and in 1928 the company closed the town and the mines down for good. For a quarter century thousands of citizens lived and worked in Primero. In 1913-14 miners struck against the company and suffered through one of the most severe winters in Colorado history. In the good years John D. Rockefeller, Jr. built a church, a clinic, schools, band stands, and supported other community activities. In the end the mines played out and the people moved on. Today the north wind blows down through the canyons and frequent rain and snow storms have their way on the foundations that remain. The ruins are silent now. The people are gone. Primero was a mining camp operated by CF&I from 1901 to 1928. At its peak, Primero's mines produced 3,000 tons of coal a week and employed an average of 600 men at a time, 60% of whom were foreign born. View of the abandoned coal mining town of Primero, a Colorado Fuel and Iron Corporation town, Las Animas County, Colorado. The windows and doors have been removed from the houses. 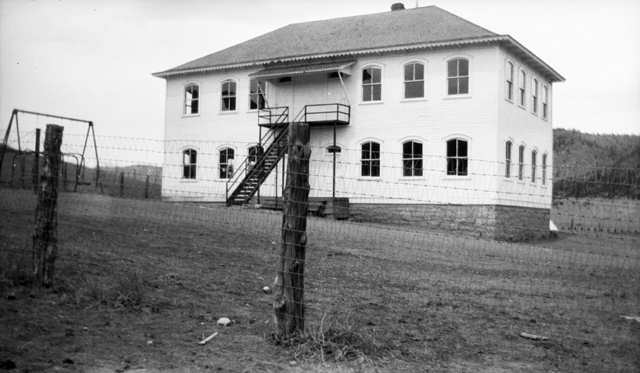 View of the abandoned Primero two story school with broken windows, Las Animas County, Colorado; taken after the Colorado Fuel and Iron Corporation closed the mine. 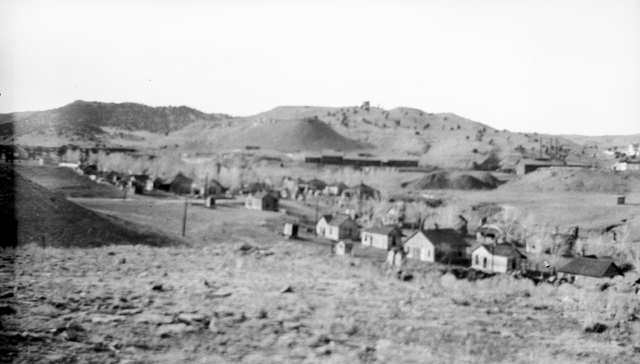 View of Primero, a Colorado Fuel and Iron Corporation coal town, Las Animas County, Colorado. 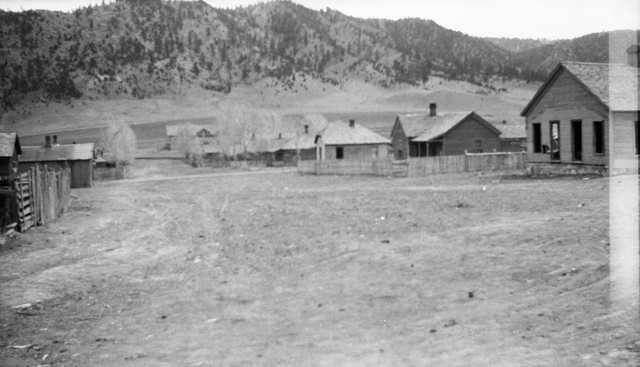 View of Primero, after the Colorado Fuel and Iron Corporation closed the coal mine, Las Animas County, Colorado. The mine was located in the hill in the center of image. View of the aftermath of the mine explosion at Primero Mine which occurred January 31, 1910 at 4:30 p.m. Shows spectators, destroyed buildings and equipment, and an undamaged mine building. View of the employee bathhouse at the Colorado Fuel & Iron Company coal camp of Primero. The building is a one story structure with a stucco exterior, porch entry, and shingled roof. A shed addition is attached to the side of the building. Powerhouse smokestacks are in the distance. 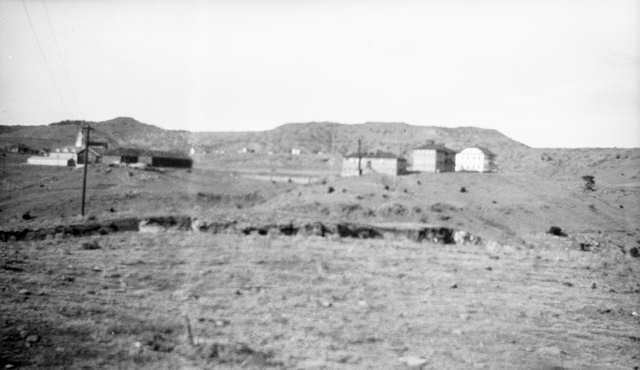 View of the elementary school in the mining town of Primero. Shows a two story wood frame with a covered entry and cupola. 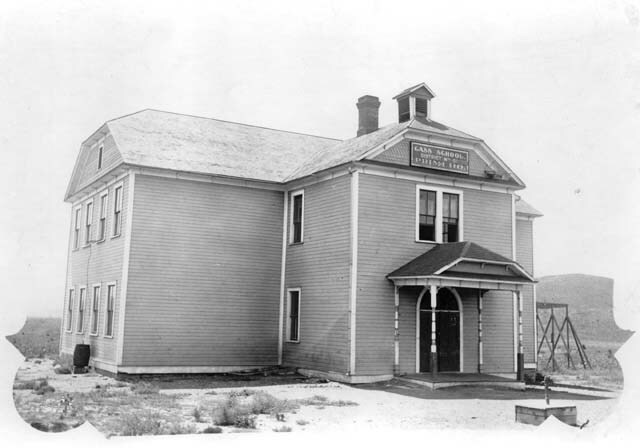 The sign above the door reads: "Gass School. District No. 61. Primero." 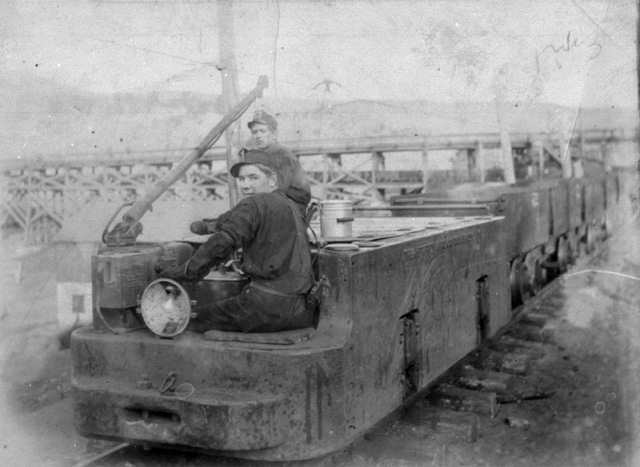 View shows two young miners driving an ore train full of coal from one of the Primero coal mines. View of the miner's club house in Primero. Shows a two story wood frame building with a front porch. Pueblo Chieftain January 23, 1907 TWENTY LIVES GO OUT IN A MINE EXPLOSION IN COLORADO - Trinidad, Colo., Jan 23--Twenty miners, according to the authentic information available his evening, lost their lives as a result of an explosion which occurred at three o'clock this morning in the Colorado Fuel & Iron Company's Coal mine near Primero, twenty miles west of this city. Twenty coffins have been ordered by the company from a local undertaking establishment. Two of the dead are Frank Hobat, miner, and R. J. Lumbey, fire boss. The names of the other men killed have not been learned, as the shift boss, who had charge of the men who went into the mine last night, is missing. All the men except Lumley were foreigners, most of them being Italians. The explosion stopped the air fan, which was not repaired until late today, and there is little chance that any of the men in the mine at the time of the explosion are still alive. District Superintendent Robert O'Neil is personally directing the work of rescue. Volunteers from adjacent mines are assisting. Rescuers have been divided into two hour shifts and work will be kept up continuously until the entire mine is explored. During the entire day excitement ran high and relatives of the entombed miners stood waiting at the entrance to the mine for a sight of any of the victims that might be brought to the surface. The damage to the mine cannot be learned tonight. An attempt is being made to force air into the mine in the hope that some of the entombed men may be alive, and thus prevent their suffocating. Late advices are that the mine is badly wrecked. The rescue party has penetrated three hundred feet and recovered four bodies, the names not being given. Telluride Daily Journal – January 23, 1907 – Explosion in Trinidad Mine Today – Trinidad, Jan. 23 – An explosion in the main entry of the mouth of the Colorado Fuel and Iron company's coal mine at Primero occurred this morning. It is reported that twenty miners were killed and may be more. The explosion it is supposed was caused by a "windy shot." The body of Frank Hobat, timberman, has been recovered. There is great excitement at Primero. A private message says there were sixteen men in the mine at the time of the explosion. How many were killed is not known. Primero is twenty miles west of Trinidad and all means of communication are controlled by the Fuel company which will not allow news of the accident to be sent out except by its officers. Durango Wage Earner – January 24, 1907 – Telegraph News – Trinidad, Jan. 23 – Early this morning an explosion occurred in the Colorado Fuel & Iron company's coal mine at Primero and twenty men are reported killed. The mine is the largest in these parts. The explosion is presumed to be due to a windy shot. A relief train left here with doctors and nurses for the scene of the disaster, twenty miles away. The first body recovered was that of Frank Hobart, a timberman. Details of the accident have not yet been received. Communication facilities between Trinidad and Primero are entirely inadequate and it is very difficult to get any details of the catastrophe. 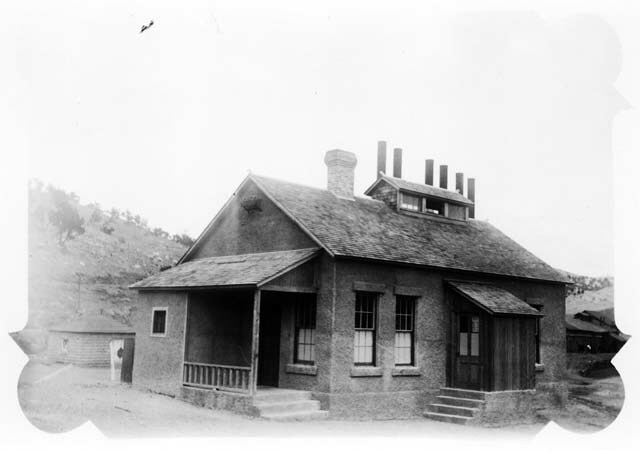 The Colorado Fuel & Iron company owns the only telegraph line connecting the camp and news of the explosion, except that destined for main offices in Denver, is religiously excluded. The telephone wire is owned by the Colorado Telephone company, but the only place in Primero where any information regarding the accident can be obtained is at the Colorado Fuel & Iron company's store, where, as might be expected, the employes are not inclined to give out anything for publication, as it is against strict orders and it might lead to dismissal from service. The mine where the explosion took place is fully a mile from the company's store. It is understood that the greatest excitement exists at the mine, where rescue gangs are hard at work clearing away the debris and locating the bodies of the dead miners. At the company's store a statement was given out rather belittling the seriousness of the accident, but the fact remains that many are dead. The company says they are all foreigners. Telluride Daily Journal – January 24, 1907 – 24 Killed in an Explosion at Trinidad – Trinidad, Jan. 24 – A rescue party worked all night in two hour shifts at the Primero coal mine where an explosion occurred yesterday morning, but little progress was made owing to the large quantity of wreckage in the way. The bodies of four dead have been recovered and according to the best information obtainable twelve more miners are missing and supposed to be dead in the mine. They are all foreigners. Had the explosion occurred in the day time over 100 men would have been entombed. Later – Official announcement was made this afternoon at the local office of the Colorado Fuel and Iron company that 24 were killed by the Primero explosion. Creede Candle – January 26, 1907 – Mine Explosion – Twenty Lives Believed to be Lost at Primero – Shock Like an Earthquake – Deadly Disaster in Las Animas County Mine of Colorado Fuel & Iron Company – Frantic Woman and Children Looking for Lost Ones – Denver – A Trinidad special to the Republican Wednesday night says: One of the worst mine disasters which has visited southern Colorado for a year was an explosion in the mine of the Colorado Fuel & Iron Company, at Primero, about 3 o'clock this morning, which is believed to have caused the death of twenty miners, the entire shift, besides badly wrecking parts of the mine. The explosion was felt throughout the camp rocking houses and causing the inhabitants to believe that an earthquake had visited that section, and the populace, so rudely awakened, fled terror stricken from their homes. Excitement soon was intense. The latest information to-night is that twenty men were in the mine and it is the general belief that all are dead. At 7 o'clock to-night a total of four bodies had been recovered, the name of only one being given. He was Frank Hobat, a miner, whose body was recovered this morning near the main extrance to the mine. Among the known dead is R. J. Lumley, the fire boss, who is believed to be the only American caught in the disaster, the others being Italians and Austrians. The force of the explosion stopped the fan which conveys air into the mine. The main entrance is blocked with a mass of rock and timber as are also the two air shafts which were the only possible means of escape for the emtombed men, had any of them been fortunate enough to have been alive. It is believed that those who were not instantly killed were suffocated by the afterdamp, as all means of escape were cut off. The mine in which the explosion occurred is known as the North mine, it being located north of the other mines of that camp. Late to-night the mine had only been penetrated 200 feet through the main entrance. The work of the rescue party is most difficult. Large boulders, some weighing several tons, blocked the entrance. Timbers were broken like toothpicks, letting down tons and tons of earth and other debris. Miners from nearby camps flocked to the rescue of their fellow workmen at the first news of the disaster and as a result several hundred men are on the ground ready to render all assistance possible. News of the explosion went quickly through the camp this morning and within a few minutes the main entrance was surrounded with frantic women and children looking for their husbands, brothers, fathers and sons. Many of the women in their excitement attempted to assist the miners in gaining entrance to the mine, but they soon saw that their efforts were futile and then it slowly dawned upon them that all in the mine were dead. The scenes were pitiful. Fort Collins Courier – January 30, 1907 – Bodies of 12 Coal Miners Recovered – Special to the Courier – Trinidad, Colo., Jan. 25 – After working all night the rescuing party at the Primero coal mine, was rewarded by the recovery of four more bodies at an early hour this morning. The bodies of twelve of the unfortunate victims have now been taken from the mine. The rescue party has penetrated through the main entrance of the mine nearly half a mile. The men have been constantly at work, day and night, since the explosion early last Wednesday morning. Durango Democrat – January 26, 1907 – 23 Bodies Recovered From the Mine at Primero – Trinidad, Colo., Jan. 25 – Twenty-three bodies of the victims of the explosion in the Primero mine of the Colorado Fuel & Iron company had been recovered by nightfall today. Only one body remains in the mine, that of R. J. Lumley, the only American who met death in the explosion. It develops that the interior of the mine is not so badly wrecked as was at first reported. Golden Colorado Transcript – February 7, 1907 – In response to a request from Pasqualo Corte, Italian consul, Governor Buchtel has undertaken an inquiry into the recent accident in the Colorado Fuel and Iron Company coal mine at Primero, in the southern coal fields, where a number of coal miners lost their lives. He is most anxious to get at the bottom and learn whether anything can be done by the state to prevent such accidents in the future. He has instructed the coal mine inspector to go to the scene and make a thorough investigation a second time. Summit County Journal – February 9, 1907 – Investigating Mine Explosion – Denver – A Trinidad dispatch Tuesday night says: John B. D. Jones, state coal mine inspector, accompanied by Deputy Griffith, arrived to-day from Denver and went at once to Primero, where they will make a special investigation into the explosion there in which twenty-four lives were lost. Mr. Jones and his deputy were sent here to make a special inquiry on request of Italian Consul Corte. Mr. Jones said: "The result of my investigation will be given first to Governor Buchtel. I do not know how long it will take and I may be at Primero the rest of the week. The examination will be most thorough." On the last day of January, 1910, 35 of the 110 men in Primero mine had already walked out of the mine and another four were in the portal mouth when an explosion shot out of the portal. Three of these four were killed when they were hurled against a set of moving coal cars. One man inside was found alive. The last of the bodies was found three and a half months later for a total of 75 dead. HORRIBLE GAS EXPLOSION IN COLORADO FUEL & IRON COMPANY'S MINE. Primero, Colo., Feb. 1 (Tuesday). -- Over 100 men are believed killed by a terrific explosion in the Primero mine of the Colorado Fuel & Iron Company at 4:30 yesterday afternoon. At 10 o'clock last night fifteen bodies had been recovered from one of the main slopes. The bodies were literally blown to pieces and were unrecognizable. Rescue parties are making desperate efforts to reach the interior workings, cut off from the outside by the caving of the main portal. Five men were killed at the mouth of the mine slope by the force of the explosion. Both fans with which the mine is equipped were shattered and were not repaired until 7:30 last night. As soon as the fans were repaired General Superintendent J. F. THOMPSON and a rescue party entered by the main air shaft but were unable to reach the main shaft, which was completely blocked. The party returned to the surface after securing five bodies, which were badly burned. A party equipped with oxygen helmets replaced them in the workings reached through the air shaft and at 3 a. m. had recovered twenty-four bodies and rescued one man alive. When the explosion occurred flame, smoke and timbers burst from the entrance and killed five men standing outside the mouth of the mine. The mouth of the main slope was completely closed by the force of the explosion. At the entrance of the air shaft which runs parallel to the main slope, the work of rescue began. At 3 o'clock this morning twenty-four blackened and charred corpses had been laid out in the warehouse 150 feet from the shaft, which had been transformed into a temporary morgue. At 2:10 a cheer went up from the crowd gathered around the mouth of the air shaft when it was announced that a man had been brought out alive. His name was DRONARADO VIRGEN. He was revived by oxygen treatment. This gives rise to the hope that there may be other men alive in the mine. At 3 o'clock the company officials stated that there were seventy-nine men still in the mine. Owing to the blackened and charred condition of the bodies taken out, the only means of identification was brass number checks and a few articles carried in their pockets which were not destructible. Nearly all clothing was burned from the bodies brought out and it will take careful checking up by the payroll to determine the names of the victims. Most of the victims are Slavs and Hungarians, although Electrician WILL HELM is known to be among the missing. At 1:30 a. m. JAMES THOMPSON of Trinidad, division superintendent of the C. F. & I., who was in actual command of the rescue work, was carried from the mine unconscious, but after being revived by oxygen treatment he donned another oxygen cap and entered the mine to lead the rescue work. Miners were rushed to Primero from Trinidad, Segundo, Starkville, Sopris and Cokeville and are laboring frantically to clear the main shaft, relieving each other every few minutes. It is impossible to determine how far the main shaft has caved and it may be days before the shaft is cleared and the total dead list known. There is little hope that any of the men in the mine are alive. The company clerk reports that seventy-nine safety lamps are missing and he is sure that that number of men are entombed. Many of the miners state that 150 men are missing. Rumor to That Effect in Circulation – Fifty-five Bodies Have So Far Been Recovered. Trinidad, Feb. 2. -- Was the Primero disaster caused by a foreign miner's love for cigarettes? While it cannot be confirmed, because the men who know are dead, it is rumored that the desire for a few puffs was gratified by a man who afterwards threw the burning stub into a pile of inflammable material. While the state mine inspection department and the county coroner will conduct investigations, the exact cause of the explosion may never be definitely known. Primero, Colo., Feb. 2. -- Fifty-five bodies had been taken from the ill-fated Primero mine up to 1 o'clock this afternoon. The list of dead, as stated in these dispatches yesterday, will not exceed eighty. Among those recovered were seven Japanese. Most of the others are Catholics and the bodies of these will be buried in one trench in the Catholic cemetery at Trinidad next Monday, when there will be a public funeral. Many heart-breaking scenes are enacted at the mouth of the shaft, where relatives and friends are waiting for the bodies of those who perished in the mine. Among the anxious watchers since the hour of the disaster is MISS ALICE KING of Segundo, a village about two miles from here. When the explosion occurred, MISS KING walked over to Primero to find WILLIAM HELM, a miner to whom she was to be married in a few weeks. He was among the men in the shaft and his body has not yet been recovered. Only One Man Escaped Alive in Explosion That Occurred in a Colorado Fuel & Iron Company Mine Late Yesterday. GAS ACCUMULATION IN MAIN SHAFT. The list of seventy-nine men who were in the mine yesterday afternoon has been carefully checked and only one has been found alive. Rescuers are working desperately in relays, in getting out the bodies. The mine is still full of gas and the rescuers take their life in their hands when they descend into the shaft. Heartrending scenes are being enacted about the mine and in the little town, windows and orphans of the dead miners being prostrated by grief. The mine is owned by the Colorado Fuel & Iron company and it was the scene of a similar accident a little over two years ago. State Mine Inspector JONES is enroute[sic] here from Denver and the federal government is sending two inspectors from Pittsburg, to investigate the cause of the disaster. Yuma Pioneer – February 4, 1910 – Primero Coal Mine Disaster – Horrible Gas Explosion in Colorado Fuel & Iron Company's Mine – May Be Over 100 Dead – Rescue Workers Find Twenty-Four Dead Bodies and One Man Alive – Primero, Colo., Feb. 1 (Tuesday) – Over 100 men are believed killed by a terrific explosion in the Primero mine of the Colorado Fuel & Iron Company at 4:30 yesterday afternoon. At 10 o'clock last night fifteen bodies had been recovered from one of the main stopes. The bodies were literally blown to pieces and were unrecognizable. Rescue parties are making desperate efforts to reach the interior workings, cut off from the outside by the caving of the main portal. Five men were killed at the mouth of the main stope by the force of the explosion. Both fans with which the mine is equipped were shattered and were not repaired until 7:30 last night. As soon as the fans were repaired General Superintendent J. F. Thompson and a rescue party entered by the main air shaft but were unable to reach the main shaft, which was completely blocked. The party returned to the surface after securing five bodies, which were badly burned. A party equipped with oxygen helmets replaced them in the workings reached through the air shaft and at 3 a.m. had recovered twenty-four bodies and rescued one man alive. When the explosion occurred flame, smoke and timbers burst from the entrance and killed five men standing outside the mouth of the mine. The mouth of the main stope was completely closed by the force of the explosion. At the entrance of the air shaft which runs parallel to the main stope, the work of rescue began. At 3 o'clock this morning twenty-four blackened and charred corpses had been laid out in the warehouse 150 feet from the shaft, which had been transformed into a temporary morgue. At 2:10 a cheer went up from the crowd gathered around the mouth of the air shaft when it was announced that a man had been brought out alive. His name was Dronardo Virgen. He was revived by oxygen treatment. This gives rise to the hope that there may be other men alive in the mine. At 3 o'clock the company officials stated that there were seventy-nine men still in the mine. Owing to the blackened and charred condition of the bodies taken out, the only means of identification was brass number checks and a few articles carried in their pockets which were not destructible. Nearly all clothing was burned from the bodies brought out and it will take careful checking up by the payroll to determine the names of the victims. Most of the victims are Slavs and Hungarians, although Electrician Will Helm is known to be among the missing. At 1:30 a.m. James Thompson of Trinidad, division superintendent of the C. F. & I., who was in actual command of the rescue work, was carried from the mine unconscious, but after being revived by oxygen treatment he donned another oxygen cap and entered the mine to lead the rescue work. Miners were rushed to Primero from Trinidad, Segundo, Starkville, Sopris and Cokeville and are laboring frantically to clear the main shaft, relieving each other every few minutes. It is impossible to determine how far the main shaft has caved and it may be days before the shaft is cleared and the total dead list known. There is little hope that any of the men in the mine are alive. The company clerk reports that seventy-nine safety lamps are missing and he is sure that that number of men are entombed. Many of the miners state that 150 men are missing. Fort Collins Weekly Courier – February 3, 1910 – Death Toll in Primero Disaster is Seventy-Eight – Only One Man Escaped Alive in Explosion That Occurred in a Colorado Fuel & Iron Company Mine Late Yesterday – Gas Accumulation in Main Shaft – Special to the Courier – Primero, Colo., Feb. 1 – That everyone of the 79 miners in the workings at the time of the explosion yesterday afternoon, with one exception, met death, is now believed to be certain. Up to 1 o'clock this afternoon forty-two bodies had been brought out, but only about 20 of the men had been identified. They were horribly bruised and mangled by the force of the explosion, which is believed to have been caused by an accumulation of gas in the main shaft. About one-fourth of the dead are Americans, the others being Austrians, Italians, Mexicans and Bohemians. The man who escaped alive was Gionado Vergin, who was near the mouth of the shaft, when the explosion occurred. Following is a partial list of the dead: Albert Toth, Ernest Strangsfeld, John Iskra, Dave Williams, Jack Elias, James Runnings, Peter Perko, Charles Sellers, K. W. Chinn, H. K. Lee, S. Keryar, F. Omers, William Helm, J. H. Anderson, W. E. Fields, Frank Dotson, Fred Cikler, J. H. Hoskins, M. Apodorea, Ed. Rail. The list of seventy-nine men who were in the mine yesterday afternoon has been carefully checked and only one has been found alive. Rescuers are working desperately in relays, in getting out the bodies. The mine is still full of gas and the rescuers take their life in their hands when they descend into the shaft. Heartrending scenes are being enacted about the mine and in the little town, widows and orphans of the dead miners being prostrated with grief. The mine is owned by the Colorado Fuel & Iron company and it was the scene of a similar accident a little over two years ago. State Mine Inspector Jones is enroute here from Denver and the federal government is sending two inspectors from Pittsburg, to investigate the cause of the disaster. Telluride Daily Journal – February 2, 1910 – Primero Mine Disaster – Dinner Bucket Saved One Miner's Life – Leonardo Kirgen, Only Man Who Escaped, Crammed Bucket Against Face and Staggered to Place of Comparative Safety – Italian and Austrian Consuls Arrive on Scene of Explosion – By Associated Press – Primero, Feb. 2 – Forty-nine bodies have been recovered in all from the workings of the Primero Coal mine. Seven more were recovered during last night, but there are thirty still to be accounted for. Force of Explosion – The terrible force of the explosion which exacted a toll of seventy-nine lives, Monday afternoon, was shown this morning as the explorers penetrated deeper into the workings of the mine. The conditions found there indicate that many of the workmen were literally blown to pieces and it is doubtful if all the bodies will be recovered. Dinner Bucket Saves Life – Leonardo Kirgen, the only man who escaped alive from the mine owes his life to a tin dinner bucket which he was carrying. Kirgen was working near the point where the explosion occurred. When he felt the puffs of flames and gas, he crammed the bucket tightly against his face, stuffed his cap about the edges and staggered to a place of comparative safety. Consuls Arrive – The arrival of the Italian consul and the deputy Austrian consul, to check up the affairs of their countrymen killed in the explosion was the only incident today which varied the usual routine of camp life. Fort Collins Weekly Courier – February 3, 1910 – Primero Disaster Due to Foreigner's Love of Cigarette – Rumor to That Effect in Circulation – Fifty-Five Bodies Have So Far Been Recovered – Special to the Courier – Trinidad, Feb. 2 – Was the Primero disaster caused by a foreign miner's love for cigarettes? While it cannot be confirmed, because the men who know are dead, it is rumored that the desire for a few puffs was gratified by a man who afterwards threw the burning stub into a pile of inflammable material. While the state mine inspection department and the county coroner will conduct investigations, the exact cause of the explosion may never be definitely known. Fifty-Five Bodies Out – Special to the Courier – Primero, Colo., Feb. 2 – Fifty-five bodies had been taken from the ill-fated Primero mine up to 1 o'clock this afternoon. The list of dead, as stated in these dispatches yesterday, will not exceed eighty. Among those recovered were seven Japanese. Most of the others are Catholics and the bodies of these will be buried in one trench in the Catholic cemetery at Trinidad next Monday, when there will be a public funeral. Many heart-breaking scenes are enacted at the mouth of the shaft, where relatives and friends are waiting for the bodies of those who perished in the mine. Among the anxious watchers since the hour of the disaster is Miss Alice King of Segundo, a village about two miles from here. When the explosion occurred, Miss King walked over to Primero to find William Helm, a miner to whom she was to be married in a few weeks. He was among the men in the shaft and his body has not yet been recovered. Telluride Daily Journal – February 4, 1910 – Twenty-Two Victims Still Remain Buried in Primero Mine – By Associated Press – Primero, Feb. 4 – Although the rescuers at the main mine of the Colorado Fuel and Iron company have been working incessantly, no more bodies have been recovered since late Wednesday night. The bodies of twenty-two victims still remain buried beneath tons of fallen rock. Efforts are now being directed toward clearing the mine and repairing the terrific damage done by Monday's explosion. State Mine Inspector Jones has not been able as yet to locate the seat of the explosion. Funeral services for seventeen more of the victims of the disaster were held at Trinidad this morning. Summit County Journal and Breckenridge Bulletin – February 5, 1910 – Finding Dead at Primero – Primero, Colo. – Forty-seven bodies have been taken out of the mine where Monday's explosion snuffed out the lives of from 79 and 103 men. The exact number may never be known, as members of the rescue parties say that all bodies remaining in the mine were torn to pieces by the explosion and it will be practically impossible to determine how many there are. These rescuers also say that it is difficult to get men to enter the mine, none being willing to walk over a carpet of mangled flesh and bloody human bones. While company officers claim to have taken out forty-seven bodies and profess confidence in the recovery of all the other victims of Monday's disaster, men who have been in the rescue parties declare that only thirty have been taken out and but twenty-two of these have been identified. The coroner has identified twenty-two bodies now lying in the temporary morgue and there are eight Japanese corpses there which seem impossible of identification. Fort Collins Weekly Courier – February 10, 1910 – Bodies of Fifty-Five Victims Recovered – Believed There Are Yet a Score of Dead Miners Unrecovered – Four Bodies Brought to Surface Today – Special to the Courier – Primero, Feb. 5 – Four more bodies were recovered today from the Primero mine. The total number now recovered is 55. Rescuing parties have been through nearly all parts of the mine where men were working at the time of the explosion last Monday, and they believe that no more bodies will be uncovered from the debris. It will require much time and money to clear the mine of debris, which it is believed will form the graves of probably a score of victims. Three of the bodies raised today were those of Americans. Telluride Daily Journal – More Bodies of Miners Located in Primero Mine – By Associated Press – Primero, Feb. 7 – The bodies of several more victims of the wrecked Primero mine have been located, but have not yet been removed, masses of fallen rock and coal rendering the work of rescue difficult and slow. Thus far fifty-eight bodies have been taken out. Fort Collins Weekly Courier – February 10, 1910 – Jury Unable to Determine Cause – “Cause Unknown” is Substance of Verdict of Coroner's Jury After Investigating Coal Mine Disaster – Special to the Courier – Primero, Colo., Feb. 4 – After a lengthy investigation and the questioning of many witnesses concerning the explosion which snuffed out the lives of nearly 100 men in the Primero mine Monday, the coroner's jury yesterday brought in a verdict that it was unable to place the responsibility for the catastrophe. The mine officials last night sent 16 bodies to Trinidad, and the official count of those recovered to date is 51. It is thought there are at least 26 or 27 more in the mine. Thirty-five were sent to Trinidad yesterday and 16 today. One of the last bodies recovered to-night was that of Jake Iskra, lying at the entrance to the main shaft, buried under tons of rock. He had evidently been crushed while rushing toward an avenue of escape. Already two trainloads of rock have been taken out of the mine, and the work of rescue is necessarily slow. Mine officers are of the opinion that all of the entombed bodies will be found buried under tons of debris and that they will not be recovered for weeks. Golden Colorado Transcript – February 10, 1910 – The Colorado Fuel and Iron Company has officially given out the number of deaths in the Primero coal mine explosion at seventy-five. Golden Colorado Transcript – February 10, 1910 – The United Mine Workers of America has voted $1,000 for the relief of the families of the miners killed in the disaster at Primero, Colo., which is in a non-union field. Fort Collins Weekly Courier – February 17, 1910 – Three more bodies from Primero Mine – Special to the Courier – Primero, Colo., Feb. 12 – Three more bodies have been taken from the Primero mine, making a total of 62 now recovered. These are the first to be brought up since February 5th and one of them has been identified as that of James Runnings, an American miner. State Labor Commissioner Brake arrived here today from Denver to conduct an investigation into the cause of the disaster. Fort Collins Weekly Courier – February 17, 1910 – Four More Bodies from Primero Mine – Special to the Courier – Primero, Colo., Feb. 14 – Four more bodies were taken from the Primero mine today, one of them being identified as that of Dave Williams, the mine boss. They were taken to Trinidad for burial. Golden Colorado Transcript – February 24, 1910 – The body of Reuben Dougherty, one of the American victims of the Primero mine explosion, was taken from the mine on the 14th inst., bringing the total of bodies recovered to sixty-six. 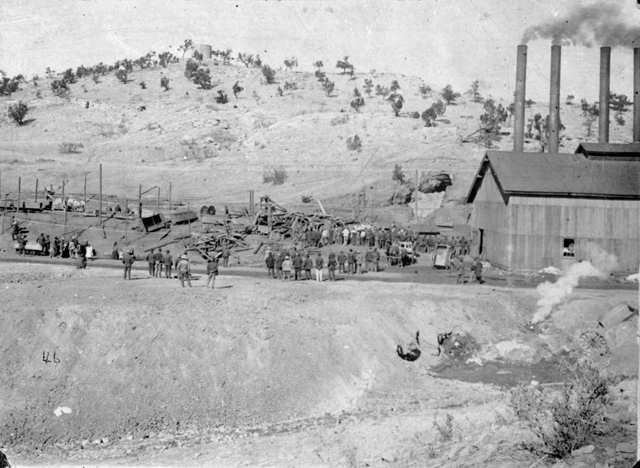 Fairplay Flume – February 25, 1910 – Andrew Carnegie, through a personal representative, sent to Denver for the purpose, has offered $10,000 for the widows and orphans of the Primero coal mine disaster, if the Colorado Fuel and Iron Company will give a similar amount and another $10,000 is raised by public subscription. Bayfield Blade – March 3, 1910 – The bodies of F. H. Fields and Speaker Moasly, negroes, were recovered from the Primero mines a few days ago. The bodies of sixty-eight of the seventy-six miners killed January 31st have been removed. Aspen Democrat-Times – March 3, 1910 – Primero Mine Accident – Denver, March 3 – A grand jury will be demanded by Governor Shafroth to investigate the accident of January 31 at the Primero mine, owned by the Colorado Fuel & Iron company, where in seventy-five were killed. If the report of Labor Commissioner E. V. Blake agrees with the report of the United Mine Workers which threw all the blame on the fuel company, the grand jury will be demanded at once and indictments will probably be preferred against the company, when for the first time in the history of the state the fuel company must submit to an investigation and possible punishment. Del Norte San Juan Prospector – May 7, 1910 – Primero Mine to Reopen – Trinidad – The Colorado Fuel & Iron Company is spending much money repairing the mine at Primero, which was the scene of a disastrous explosion late in January in which seventy-six men lost their lives. Work on the wrecked mine has been pushed rapidly and it will soon be in operation again. The Victims: ( the Cause of Death for each one was "Explosion of Gas / Dust"